Family photo. Click to enlarge. 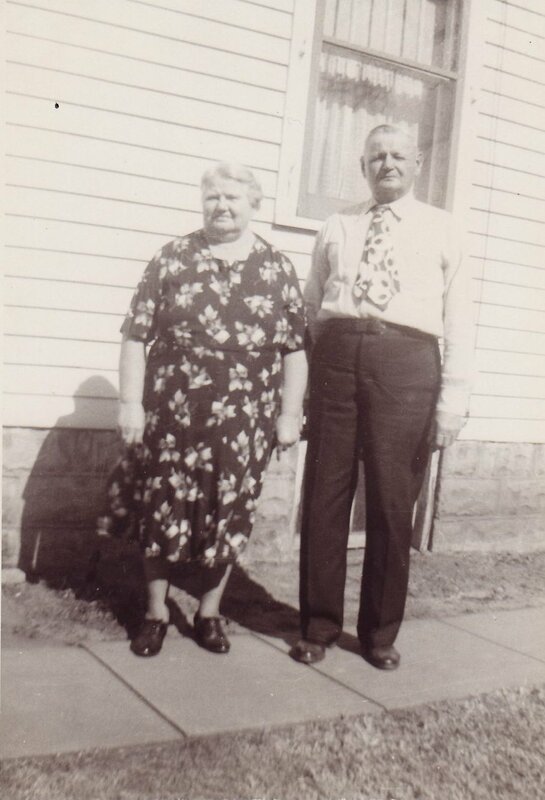 Dapper in their floral print, this is my great, great grandparents Carl (1885 – 1962) and Elizabeth Schulmeister (1887 – 1977) Porubsky. This photo was probably taken near their home in Topeka, Kansas. Carl was a Volga German born in Saratov, Russia who immigrated to the United States in 1901. Elizabeth was born in the United States. Her parents were likewise Volga Germans who had immigrated in 1886.